Use lettering to adorn your home or workspace. 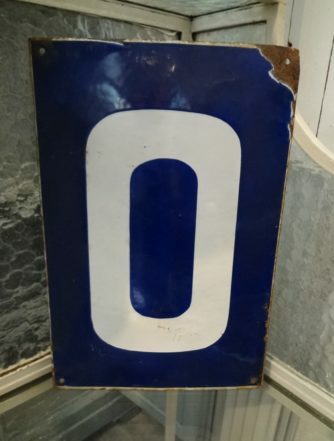 Fil de Fer’s exclusive selection of interior letters span from museum originals and café signs, to charming enamel house address lettering, to those of plexi glass and cast iron. The range includes several font and style types from rustic and industrial to elegant and feminine. Place the larger ones freestanding on the floor, or mount them on your wall amongst pictures and posters. 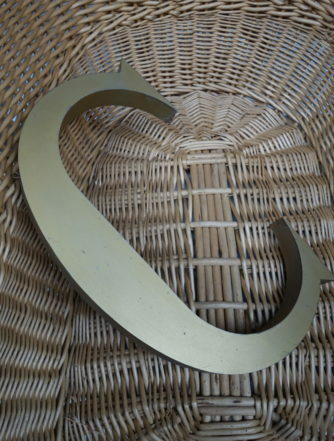 Amongst our repertoire of exclusive vintage finds, are masses of wonderfully decorative letters, which are a fabulous detail to any interior. Especially should you need that extra something which stands out, and adds another dimension to a space. 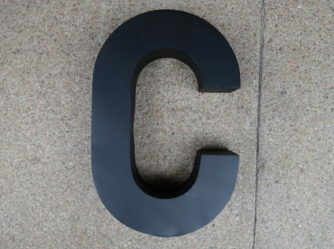 You can use them as wall letters or on shelves or tables. So many possibilities. 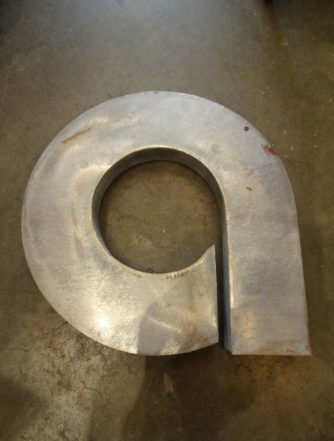 Quite simply, we have letters in all sorts of shapes and sizes, so that there is something for everyone, whether you’re into fonts from Arial, Groteska, Roman to Verdana! 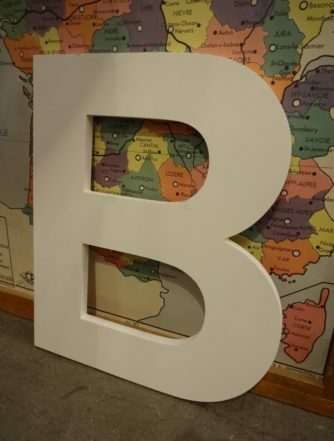 Visit our boutique, or browse our webshop, should you be on the hunt for some unique and eye-catching letters for decoration in your home or place of work. 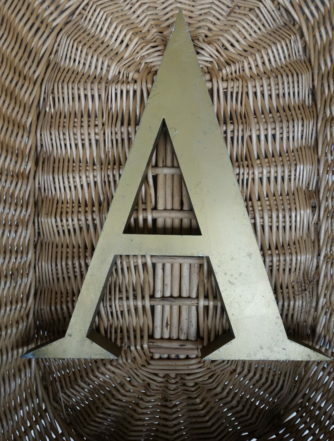 You will find your favourite piece of décor from our alphabet treasure trove. 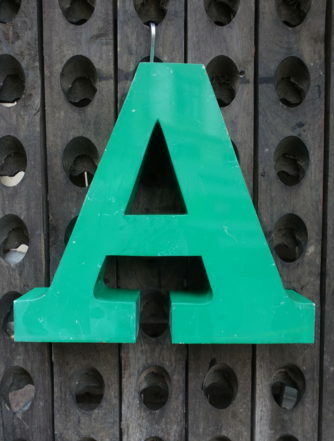 Our collection of wooden letters more or less cover the entire alphabet as well as some numbers! This means that you can for example find your initials, your child’s name for their room, or something completely different just for you. 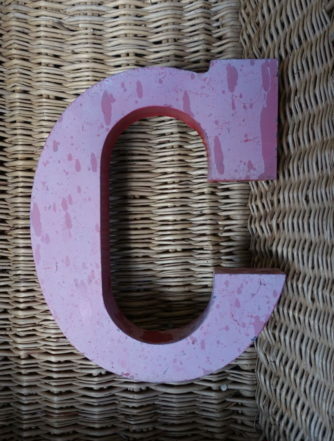 Endless possibilities for using letters as a form of décor or perhaps your lucky number to decorate your office, kitchen or living room! 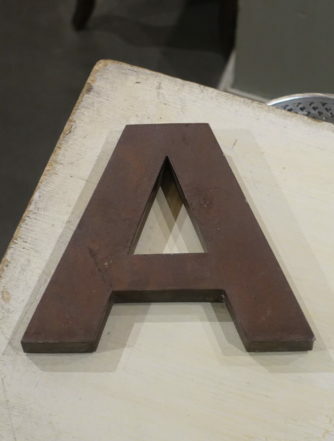 Letters can be used many ways: For example, you can give your interior a personal touch, or tell a story with beautiful wooden letters. Each and every one has its own little story: Some of the decoration letters have colourfully adorned shop facades, Parisien cafés or railway stations. Some have been found individually and some as an entire company name. What they do have in common however, is that they tell a story of days gone by, and they can start a new chapter as decorations at home on your wall. 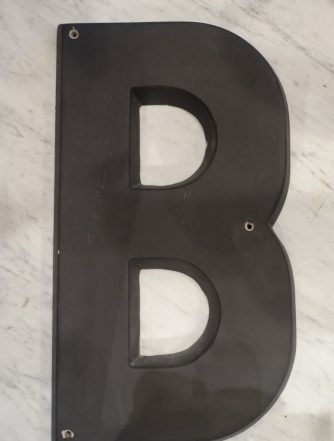 It hasn’t taken us a couple of days to assemble our unique assortment of letters for decoration. They have been brought home gradually during many fantastic trips to diverse destinations around Europe. 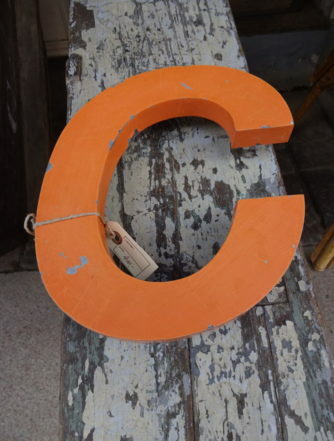 We periodically go on a hunt for decorative letters, hidden amongst all sorts of marvellous curiosities at flea markets, antique shops and private collectors. 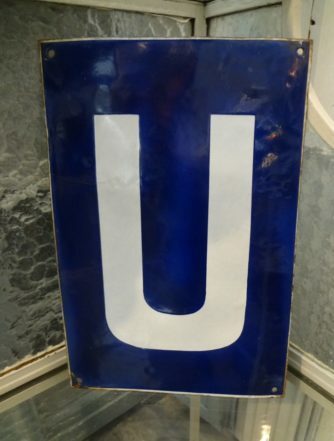 And it is here, where we have found our unique wooden letters, originating from various times and places. 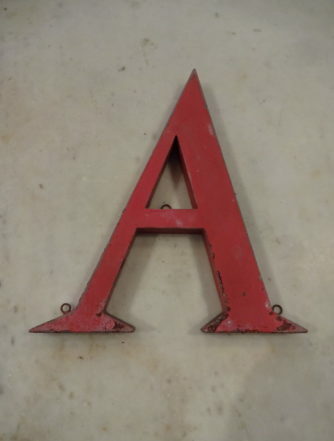 We are constantly on the hunt for new letters, which can adorn your wall and much more. 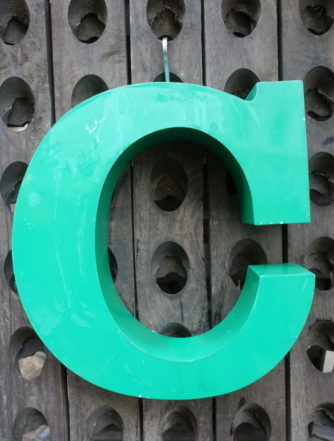 There is bound to be something for everyone, with our wide range of letters for decoration. 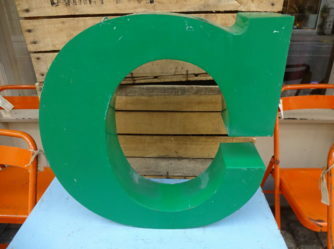 Adorn your city apartment with cool wooden letters, or add a personal symbolic touch to your office. Add an extra dimension to a bland wall, by adding some originality with colourful facade décor letters, or add a calming ambiance by using some of the more curved and feminine decoration letters in pale and understated hues. 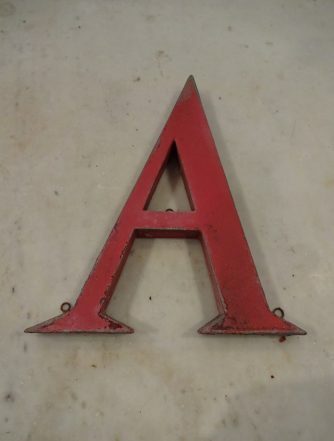 There is definitely a certain fascination for vintage letters: From antique hand painted letters with patina, harking from romantic days gone by, to the cool retro aluminium décor letters adding an an industrial twist. And you can apply them as you so wish, so that you create your very own play of words with wooden letters on the wall, or as a decorative tableau on a shelf. 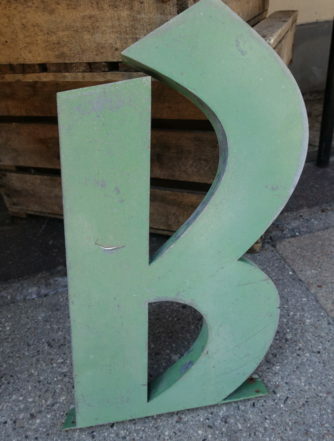 Occasionally, some of our decorative letters can be used as lamp bases. Quite an alternative solution to the den, teenage room or living room. 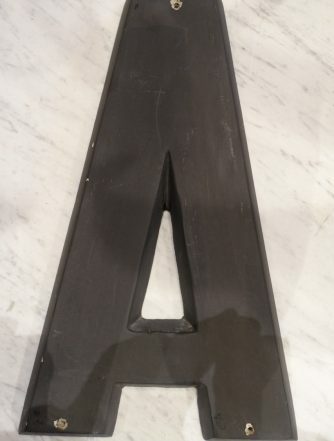 Go on a voyage of discovery with our unique hand picked collection of exciting letters for decoration – because we have them in enamel, zinc, cast iron, brass, perspex and wood. The possibilities and combinations are endless. The only hindrance is your imagination. 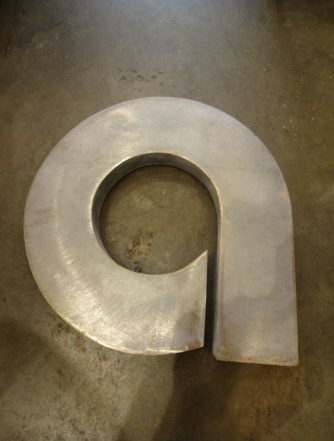 We are sure that you’ll find the right decoration letter for your interior adventure.